This item is flammable and cannot be shipped by air. It MUST SHIP BY GROUND ONLY in the continental United States and Canada. DO NOT SELECT USPS FOR A SHIPPING OPTION!!! Please select FedEx ground as the ship option for your order at checkout. PB304 cannot ship to other countries so is unavailable for purchase outside the continental US and Canada. 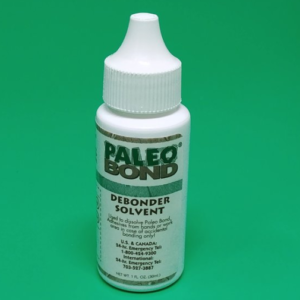 Activator is used whenever you want an instant cure or hardening of your adhesives. It allows for instant handling of your specimens. 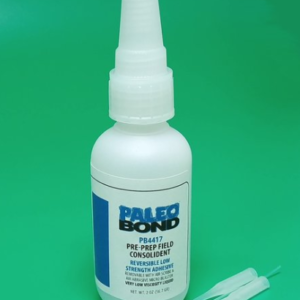 Activator is used to cure any adhesive that is exposed to air, such as squeezed out or surface applied adhesives. 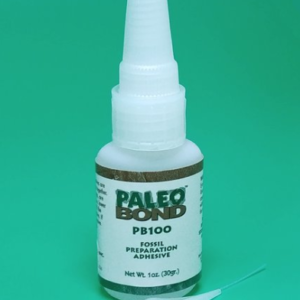 You should not ever apply the activator to the material to be bonded first as it will stop the adhesive from penetrating into the material and you will not get a strong bond. Spray lightly from 10-12 inches away from the specimen. Excessive spray can over-cure the adhesive, causing it to boil! With the lower viscosities, it has a tendency to cure very rapidly. More is NOT better. Use the activator sparingly. 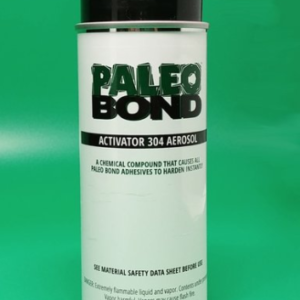 Activator will cause all PaleoBOND adhesives to harden rapidly. 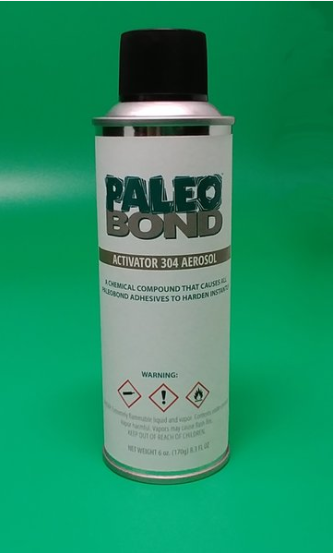 NOTE: PB304 is an aerosol and flammable. It can only be shipped by ground within the continental U.S. and Canada. This item may NOT ship air or international. It cannot be shipped USPS. WARNING: The chemistry of the activators WILL often turn some fossils green in color (if the fossil is preserved in clay or sand). REMOVING the green color can be accomplished by using water based laundry bleach like Hylex (sodium hyperclorite). Paint on the bleach and allow to sit. Then wash off with pure water.